The 9th People and the Sea conference explored the nature of maritime mobilities and the ways climate and environmental change, economic development and maritime activities are affecting their direction and volume. Topics were addressed through six streams: 1) Dealing with maritime mobilities; 2) Maritime governance; 3) Social relations and culture; 4) Fisheries management; 5) Knowledge production; and 6) Coastal threats and vulnerability. 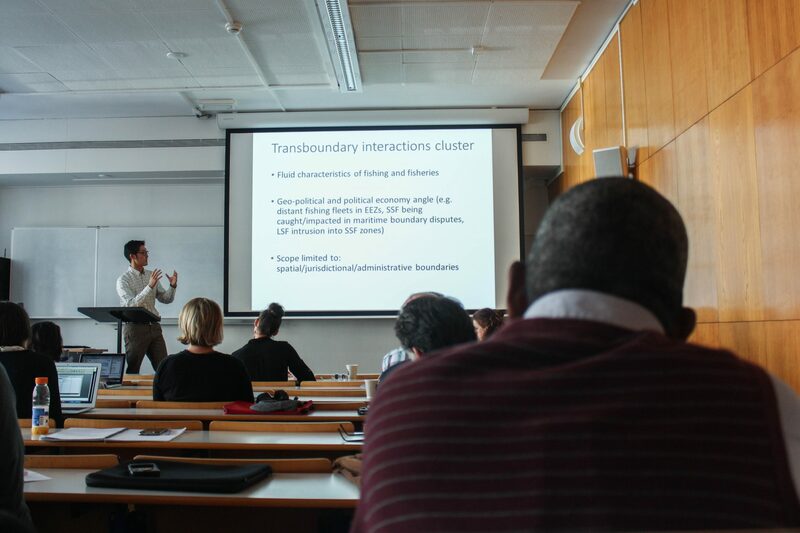 TBTI held several sessions at the conference, which were organized through five different research clusters. Below is a short summary of each of the five session. On the last day of the conference TBTI organized three consecutive sessions on the Voluntary Guidelines for Securing Small-Scale Fisheries in the Context of Food Security and Poverty Eradication. 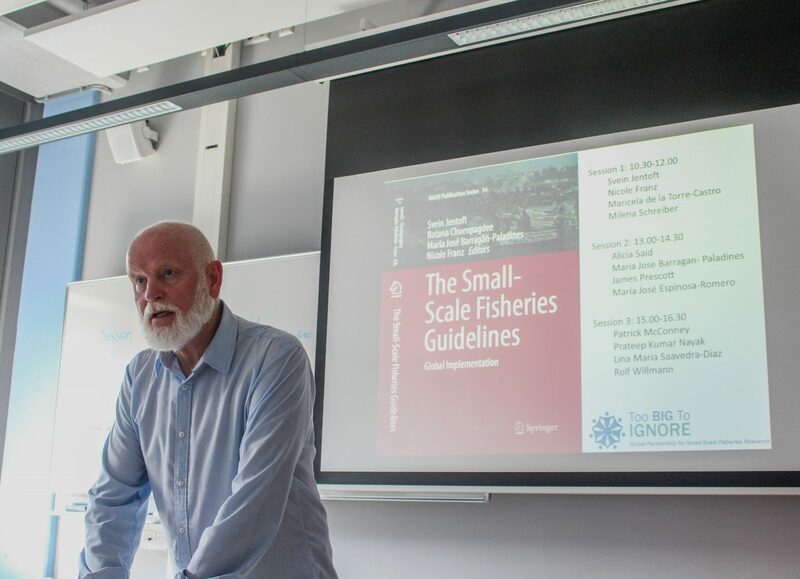 The sessions consisted of eleven presentations by participants who have all contributed chapters in the new book edited by S. Jentoft, R. Chuenpagde, M.J. Barragán Paladines and N. Franz: The Small-Scale Fisheries Guidelines - Global implementation. 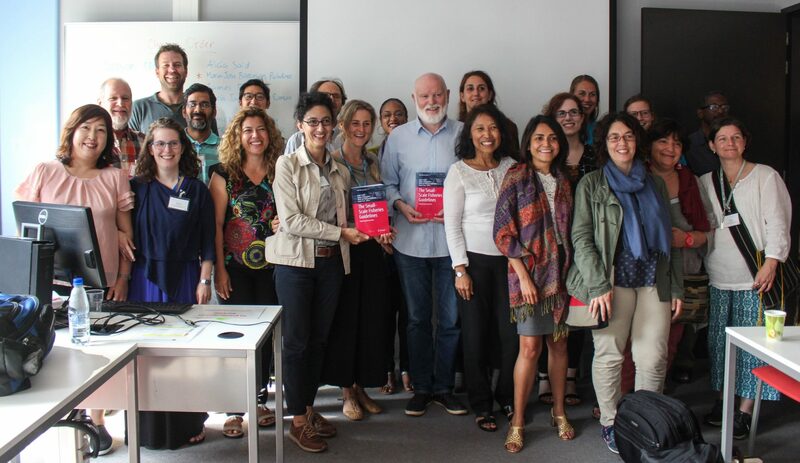 Firstly, Svein Jentoft introduced the sessions by presenting the book and Nicole Franz introduced the SSF Guidelines. Following that, Maricela de la Torre-Castro summarized her chapter on Zanzibar and the consistencies (or lack of such) between established fisheries policies and the SSF Guidelines. 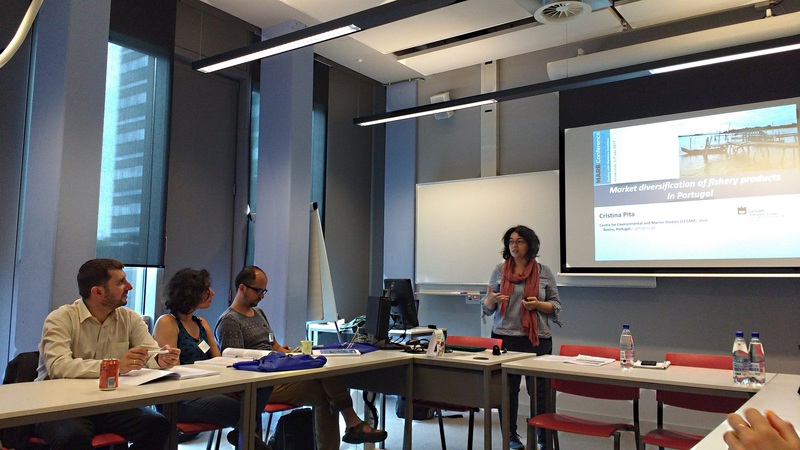 Milena Schreiber talked about the SSF Guidelines’ relevance for Sweden in the age of neoliberalism. Prateep Nayak summarized his study about SSF and the SSF Guidelines in the context of Orissa, India focusing on the governance of tenure, whereas Alicia Said’s presentation dealt with the situation in Malta in the context of EU fisheries policy and described how small-scale family-own fishing has been gradually losing out to large-scale fishing. Jim Prescott focused on the ecosystem approach, its problems and opportunities for small-scale fisheries management, drawing from studies in Australia and South-East Asia. Maria José Espinosa-Romero talked about the potentially constructive role of civil society organizations in the implementation of the SSF Guidelines, with example from Mexico, whereas Patrick McConney addressed the participation and partnerships built around the formation and implementation the SSF Guidelines in the Caribbean, and how the SSF Guidelines have helped to empower small-scale fisherfolk in that region. Lina Maria Saavedra-Diaz spoke about their implementation in the Colombia, a country that for decades has been troubled by crime, armed conflict and human rights violations. Finally, Maria Jose Barragán-Paladines introduced the new 'Buen Vivir' governance paradigm, now included in the Ecuadorian National Development Plan, which is understood as set of new ideas and principles, largely overlapping with those of the SSF Guidelines. The three sessions were very well attended, met positive responses, and had lively discussions. The session ended with a reception hosted by TBTI to celebrate the new book 'The Small-Scale Fisheries Guidelines: Global implementation'. The three panels under this title had the intention of exploring the interface of values, wellbeing, and transition in small-scale fisheries. They sought to stimulate new insights into understanding how small-scale fisheries are coping with ongoing, often existentially threatening change, through lenses of value and wellbeing. The topic clearly struck a chord with participants in the MARE conference. The panels were standing room only. The presentations provoked vibrant discussions and many people commented how stimulating they were. Clearly, there is a pressing need to continue to refashion approaches to understanding the economic and other transitions that are providing threats to, and sometimes opportunities for, small-scale fisheries. Values and wellbeing provide important ways of framing our understanding of these changes. Among the many topics, ideas, and threads of discussion in the panels were the importance of carefully theorizing value; the relevance of rich ethnographic and mixed-method approaches to understanding fisheries transition; the presentation of new tools and approaches for analyzing values in small-scale fisheries; the political economy of elite capture of economic value in Malta; post-productivism as a way of understanding adversely shifting value regimes in Finland; the risks of romantic essentializations of small-scale fisheries replacing actual living small-scale fisheries; a fine-grained effort to trace the diverse pathways by which a particular species of fish on the Andaman and Nicobar Islands comes to be valued; the cultural potency of branding in creating value for fisher organizations; the deliberate construction of multi-dimensional values in fisheries marketing in Colombia; the practical power of a social wellbeing approach for highlighting the values of small-scale fisheries in Australia; and the importance of recognizing culturally specific value orientations, as in the vida simples example of coastal Brazil. 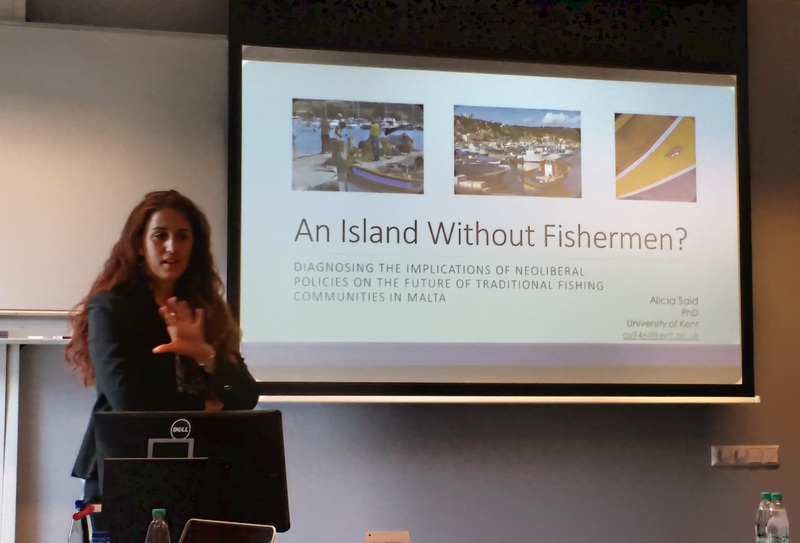 A comment at the end of the discussion during the third panel highlighted the significance of the discussion: through careful, situated, and time-sensitive attention to value and value-making, new political possibilities emerge for small-scale fisheries. Session organizers, together with participation of Simon Bush of Wageningen University, Kate Barclay of University of Sydney, Technology, Milton Haughton of Caribbean Regional Fisheries Mechanism, and Dedi Adhuri of Indonesian Institute of Sciences (absent), each delivered a 5 minute pitch to open the discussion. The overarching argument the panel posed to the roundtable was that EU or US trade policies which are geared towards discouraging IUU fishing in other countries are in theory a good idea. Illegal, unreported and unregulated fishing has shown to deplete fish stocks and fuel conflicts between fishing groups. These policies are also seen as a way to strengthen and extend the reach of fisheries management over more fishing activities and the sanctions have shown to sometimes successfully shake up governments with particularly poor records in controlling malign fishing practices. By restricting seafood trade, they are potentially also innovative in preventing IUU fishing by intervening outside the harvest node of fish chain. According to some, these policies could even be justified for creating a ‘level playing field’ ensuring that all fishers would have to play fairly by the same basic rules. However, as each of the panelists argued, also echoed by several audience members, there are some major concerns with the effects of these policies on small-scale fisheries that require deeper probing. While anti-IUU policies have been foremost designed to target inappropriate large scale fishing practices, in practice SSF may be easily undermined. First, anti-IUU measures are created by large seafood importing countries who represent lucrative markets (e.g., EU, Japan, US). SSF from low-income countries should be able to access these markets to increase their incomes, but the anti-IUU auditing systems installed for the purpose of accounting for and reducing the occurrence of IUU fishing effectively exclude many SSF from low-income countries because these SSF tend to have little aptitude for such stringent auditing culture as well as the capacity to easily comply with the requirements. Hence, it seems inappropriate for anti-IUU measures to ‘systematically’ disadvantage SSF from low-income countries. Additionally, measures may also be used to enact maritime interests of the trade-measure-imposing-countries, as the measures may unfairly advantage their own fleets to catch the same fish stocks that the fleets from the low-income countries also rely on. Overall, this could be a case of ‘moral bullying’ as these powerful seafood importing countries impose unilateral measures in the name of controlling IUU fishing and sustainability. At the more fundamental level, the IUU discourse itself can be questioned, since controlling unreported and unregulated fishing stand on a shaky conceptual ground, as in there is nothing inherently damaging about a fishery being unregulated by the government, for instance. Yet, the IUU discourse (and the resultant anti-IUU measures) can mean that SSF is made legible, then criminalized and illegalized because of its typically informal, undocumented, dispersed and plural nature. In other words, since many small-scale fisheries are de facto IUU fisheries (for they are unregulated and/or unreported) the global fight against IUU fishing allows for the criminalization of informality, and choose to easy-target petty-IUU rather than preventing the larger scale malpractices. This can induce insensitive and dangerous outcomes for those engaging in SSF in many low-income countries. Overall, the discussion generated substantially diverse views among the audience, ranging from fully embracing the momentum gained in challenging IUU fisheries at the global level, to outright rejecting the imperialist nature of IUU policies and their destructive tendency to criminalize small-scale fishers. It is clear that this is a subject in its infancy that will require more empirical research in the years to come to understand how the fight against IUU fishing actually manifests itself in different contexts, in whose interests it operates, and how those who rely most on the sea for their livelihoods and food security can be shielded from its effects. Fisheries, and mostly small-scale fisheries, make an important contribution to nutrition, food security, sustainable livelihoods and poverty alleviation. Several factors affect the capacity of small-scale fishers to sell their fish, receive fair prices, and to add value to their catches. For instance, existing national and regional regulations, globalized marketing schemes, and other trade barriers may restrict market access. In other cases, the requisites of specific markets (i.e. eco-labeling) may disadvantage small-scale fishers, that cannot cope easily with these challenges. The panel session had five presentations focused on the supply chain from catch to markets in general, specifically about strategies for diversification and adding-value to small-scale fishery catches, community supported fisheries, market challenges for small-scale fisher organizations, governance and market difficulties around labelling schemes, and consumer choices and preferences. 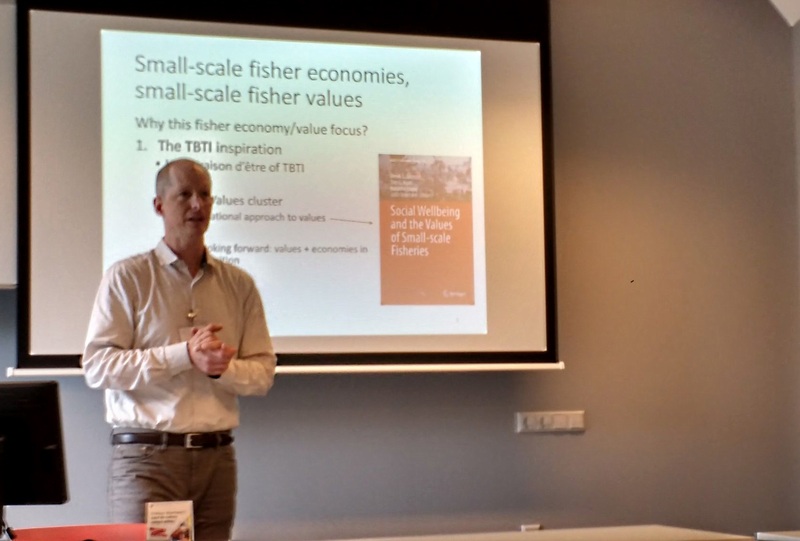 These presentations highlighted the need to place more emphasis on the research about small-scale fisheries marketing strategies and about the enabling conditions that facilitate adding value to their catches and improving fisher income. These are key factors for improving the long-term viability of small-scale fisheries around the world. In this sense, the role of organizations is something to highlight, as collective strategies for improving fish marketing frequently constitute a requisite for success. Session organizers: Katia Frangoudes (University of Bretagne Ocidentale), Siri Gerrard (Artic University of Norway), Danika Kleiber (Pacific Island Fisheries Science Centre, Joint) and Cristina Pita (University of Aveiro). The session is organized as part of TBTI 'Women & Gender' cluster in partnership with the Working Group Gendered of the Ocean Past Platform (OPP) Cost Action. Gender and fisheries research was well represented at the 2017 MARE conference. The TBTI Gender cluster solicited abstracts and were happily overwhelmed with contributions. To accommodate all the submission we had three sessions with eleven speakers sharing case studies from 10 different countries. The sessions were well attended and we even had to ask for more chairs! Although the studies were from many different countries and communities, there were many common themes. In keeping with the larger theme of the conference, issues of migration and displacement were highlighted in several talks. Alexandra Yingst described the lives of Filipina and Polish immigrants working in Iceland’s fish processing plants. Siri Gerrard’s long-term study of Norwegian children’s connection to the sea found most had moved from their small fishing village. Yasimin Khan’s painted a stark picture of displaced populations in coastal Bangladesh and their struggle for food security, particularly for women and children. The role of women in the fisheries value chain was also well represented in the talks. Work by Sebatian Villasante (presented by Cristina Pita and Katia Frangoudes) focused on gleaners from Galecia in Spain, and PFM Lopes presented work on the gleaners in rural Brazil. There were also excellent talks on marketing. 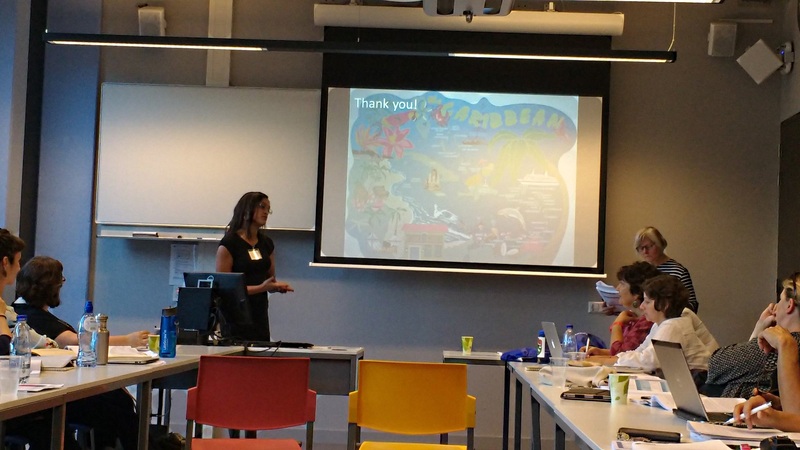 While Carmen Pedroza-Gutiérrez described the female dominated fish markets of Guadalajara, Mexico, both Kumi Soejima and Alyne Delaney described the shifting marketing efforts at the household fishing collective level in Japan. Alexandra Yingst described the lives of women in fish processing plants and their varying satisfaction with their work. Other talks focused on the role of gender in fisheries governance. Lisa K. Soares described how the SSF Guidelines has been used to start gender and fisheries programing in the Caribbean, highlighting the contribution of women to the fisheries sector. 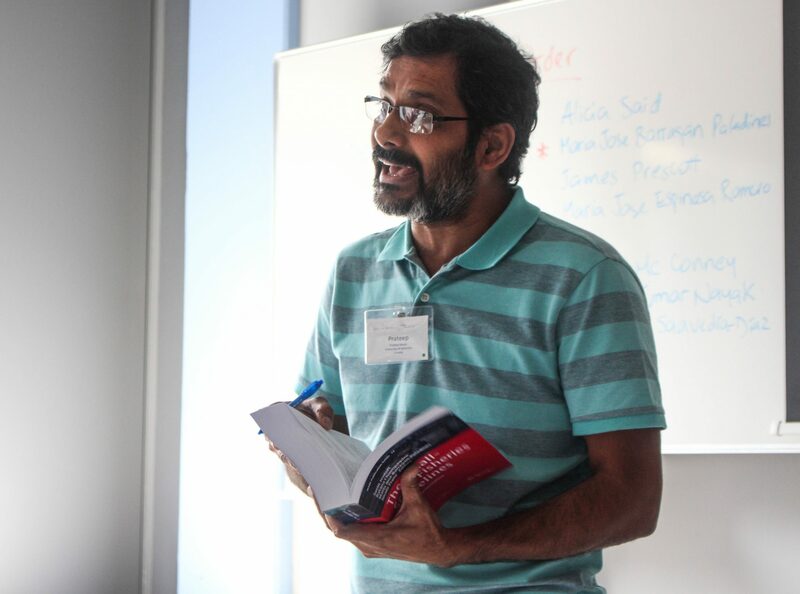 Themes of intersectionality with other social categories such a ethnicity were also included in Gayathri Lokunge’s study of fisheries in Sri Lanka. It was an exciting group of talks and Siri Gerrard ended the session expressing the urgent need for more work and research! To achieve such objectives the cluster launched a call for papers with the objective to publish a special issue of MAST journal about the role of women in SSF. While well-known, the important contribution of women in SSF is rarely documented, including their contribution in fisheries value chain but also in harvesting and resources management. Women are also involved in the administrative tasks related to the management of the family enterprise and take part in various other activities within the community. Organizations defending fisherwomen’s rights and their role in facilitating gender equality in fisheries is another topic of interest. We must also be mindful of the fact that women in coastal areas have been victims of disaster events and climate changes and their voices deserve to be heard as well. All these issues will be explored in the MAST special issue but also at the 3rd Small-Scale Fisheries Congress in October next year in Chiang Mai, Thailand. An additional issue that will be discussed during the congress are women organizations in fisheries sector, role, challenges and perspectives.